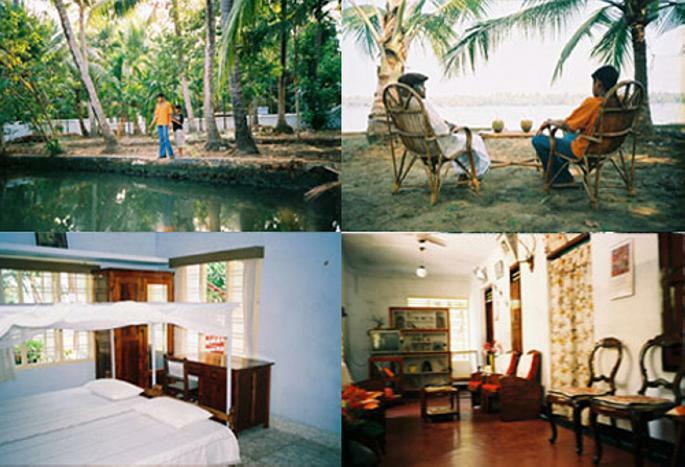 Like B & B ( Bed and Breakfast ) in the UK, Kerala Heritage Homestays offer a lot to the traveller. The merits of Kerala Homestay are that guests can interact with the hosts, understand the local language and culture, customs and activities. As Eco Tourism is tourism which does not damage the Ecology or the environment, guests are guaranteed that the same environment, the scenic beauty and the natural magnificence can be enjoyed in the future. Eco Tourism does not destroy biodiversity. Ecosystems will be preserved forever. Kerala Heritage Homestays are soothing etourism destinations for couples on honeymoon, family and even singles who want peaceful private holidays. This is the main reason why Homestays are popular amongst those who visit God's Own Country. Kerala Homestays promote peaceful relaxation, privacy and memorable holidays to the guests within homely atmosphere. You can enjoy traditional home cooked Kerala cuisine like shrimps fry, shrimps curry, pearl spot roasted, pearl spot fried and grand veg dishes like sambar, olan, pudding etc. You can resort to Ayurveda and Yoga, as there are a lot of such centers in Kerala,. Guests are hosted with great care and Kerala Culture and Philosophy is explained to them. Kerala is multi cultural and multi religious and have all sorts of places of worship. Great arts grace Kerala. Why try for resorts, while Homestays can give you privacy, when in homestays you can get all facilities at homestay programs ? The United Nations Development Programme cited Kumbalangi, a small fishing village in Kerala, as an Endogenous Tourism Center. Endogenous means that which is derived internally and that this place shows the inherent skills and traits of Kerala. The Govt declared Kumbalangi as a Model Tourism Village. Biogas is the gas which accrues from animal waste. Kumbalangi, as an exemplar of Organic Farming, has 800 biogas plants, generating more than 3600 hours of cooking gas per day! The backwaters of Venice, the green fields of Europe all combined is this beautiful village. The Lonely Planet called it the ” Paradise found on Earth”. Sandwiched between the Western Ghats and the Arabian Sea in Peninsular India, is Kerala, the gift given by Nature to mankind ! 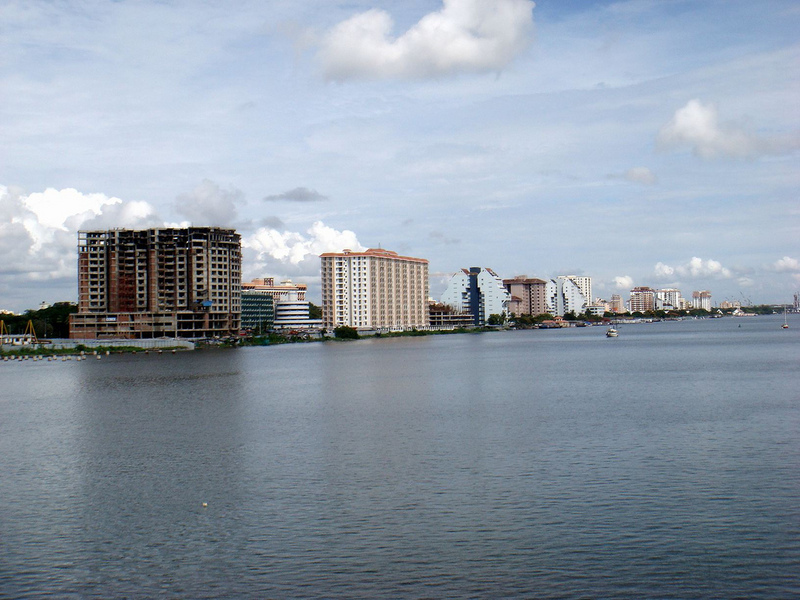 Close to the port town of Kochi is Kumbalangi, an ideal tourist location. She possesses a vast stretch of backwaters and is rich with cuisines, fish farms, local boat building and coir looms. You will find its inhabitants in tune with Nature, depending on Nature for their survival. There is not too much rush of tourists ( this island gets only 5000 tourists per season ) and you will find her more or less a virgin landscape. In 2005, the Govt came out with the Kumbalangi Integrated Tourism Village project, to transform this small island to a model tourism and fishing spot. The Chinese fishing nets which grace Fort Kochi and other places in Kochi can be seen here. Crores were invested in the project, as new roads were built, percolation tanks to store rain water were built ( thus solving the water problem ), fishes which had moved away were brought back and water drainage system was built. Lack of rooms created Homestays. Now there are a lot of homestays in this village. Kochi Airport is just 40 kms away and the nearest Rly Station is Ernakulam, 25 km away. A good Song, based on the Queen of the all the Arts. Actors, the magnificent forms of Prem Nazeer and Lakshmi. The Hero of Seetha Swayamvara ! Ganesha Sambhavam, Birth of the Obstacle Remover. With tusks and a pot belly ! And a rider on a Divine Rat !